Have I Told You I Like Barns? I take pictures of barns when we’re out riding. I usually have a camera with me; either my Sony digital or my Blackberry. The Sony does a much better job, but the Blackberry is handy and will work in a pinch. It will also have an owl in it, but he’s not there yet. If you follow my blog, you know I also love owls. 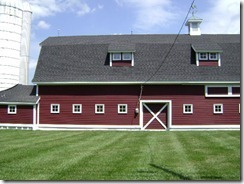 I'm a big fan of barns too. I love the barn quilt you are working on. It is really beautiful. Hugs. 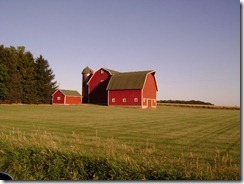 I love barns too – saw a GREAT one last weekend but couldn't get the camera out fast enough. I was driving, too, lol. Love the barn you're doing! I also love barns and your barn quilt is going to be beautiful!! another barn lover..although the ones I really like to photograph are the old falling down barns…I see many of these in upper MI. 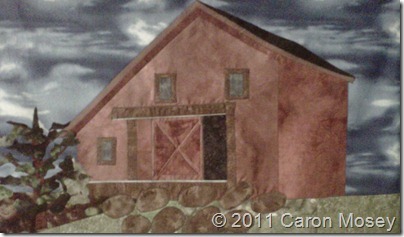 A barn quilt is a great way to preserve these diminishing buildings. That's a quilt? It looks like a piece of art. This comment comes from another owl person. I can hardly wait to see the rest.